Have you ever wondered how to cook London broil? Did you know that London broil is actually not a cut of beef, but a cooking method? I had no idea. Tough pieces of meat, usually flank or top round steak are left marinated overnight and broiled under high heat. Finally, the broiled steak is served by thinly slicing across the grain. Here’s another tidbit of trivia. No one knows where the “London” comes from since this is an American dish. Who knew? But it is such a popular dish that many butchers will use the term “London broil” for flank steak. 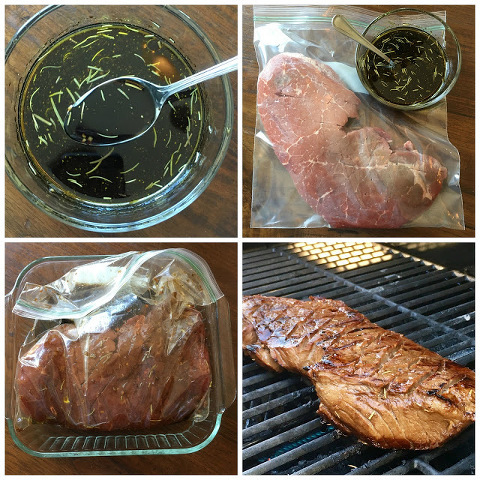 Here are some great recipes and marinades for London broil. Click on the link above each photo to find out the directions for each recipe. Give some love to the amazing cooks and bloggers behind each recipe by clicking on the link for your favorite recipe and leaving a comment letting them know. These all look so good! Which one do you want to try first?